Friday saw the round-robins at the 13U National Western event in Coquitlam-Moody, BC come to a close. Semi-finals and placement games are scheduled for Saturday with Oildome taking on Coquitlam-Moody and South Jasper Place and Burnaby facing off in the two semi-final match-ups. The other four ongoing championships will conclude their round-robin on Saturday with teams looking to secure themselves a spot in the medal round. Click here to take a look at the standings for the different events. 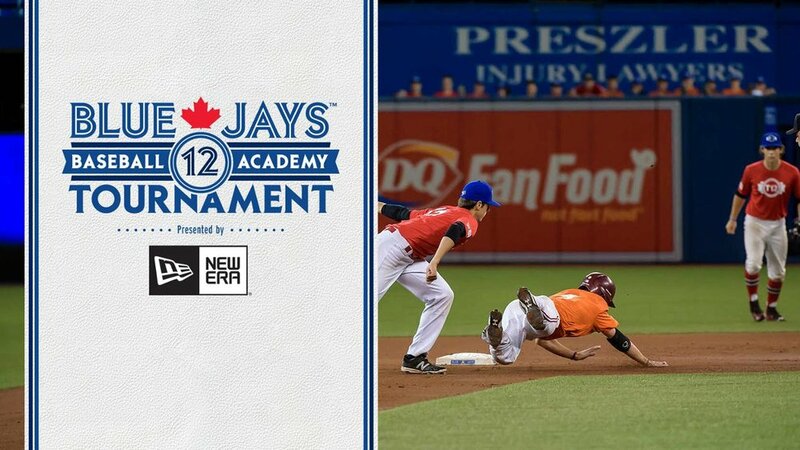 New Brunswick 7 Nova Scotia 4 – Jeremie Arseneau (Dieppe, NB) went 2-for-2 with a two-run homerun in the third to lead New Brunswick to the victory. Matt Nason (St. John) earned the win allowing four runs on three hits and seven walks over 6 1/3 innings. Manitoba 10 Saskatchewan 4 – Christian Peters (Winnipeg, Man.) and Cody Bartel (Blumenort, Man.) drove in two runs each in the game. Aaron Pugh (Boissevain, Man.) earned the win entering the game in the 5th and shutting down Saskatchewan in his 1 inning on the mound. 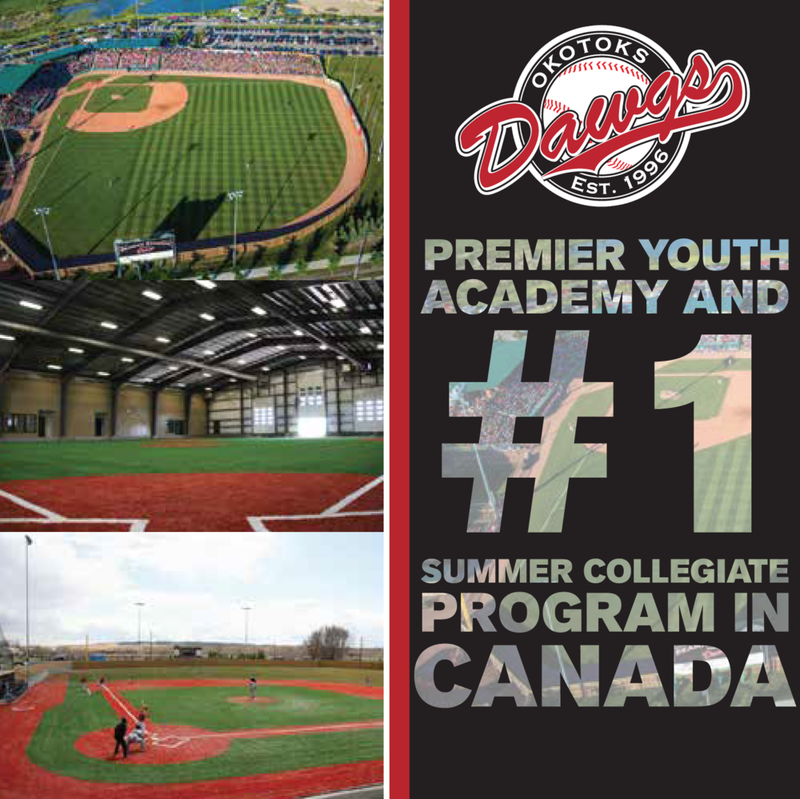 PEI 2 Newfoundland 1 – Dawson McCormack (Richmond, PEI) outlasted Newfoundland’s Matthew Colbourne (Corner Brook, NL) tossing a complete game allowing only one run in the pitcher’s duel. Jay Oram (Summerside, PEI) scored the winning run on a passed ball in the bottom of the seventh. Québec 13 British Columbia 10 – Matthew Majeur (Laval, Que.) went 4-for-5 with four RBIs and Jonathan Lacroix doubled twice driving in three runs to lead Québec to victory. Geoff Ehresman (Vancouver, BC) homered in the loss to Québec. Alberta 4 Ontario 3 – Zach Rabe (Calgary, Alta.) struck out 8 over 6 innings on the mound to earn the win for Alberta. Ashton Roy (Okotoks, Alta.) homered in the bottom of the 2nd to leads his team’s offensive push. New Brunswick 9 Manitoba 7 – Jeremie Arseneau went 3-for-3 with an RBI double to lead his team’s offense in the win. Jesse Malone (Memramcook, NB) picked up the win tossing 1 1/3 scoreless innings against Manitoba. PEI 5 Nova Scotia 2 – Matt Barlow (Summerside, PEI) went 2-for-3 driving in two runs in PEI’s five-run fifth inning to take the lead. Brett Hicken (Alliston, PEI) outlasted Nova Scotia’s Joey Hagen (Dartmouth, NS) as both pitchers went the distance for their clubs. Saskatchewan 9 Newfoundland 7 – Newfoundland scored two in extra innings, couldn’t match the four runs Saskatchewan cashed in in the top of the 8th. Michael Tremblay (Saskatoon, Sask.) reached base safely five times in the game going 2-for-2 with two walks and a hit by pitch. Tremblay drove in two runs and crossed the plate three times himself. Québec (QC1) 9 Alberta 2 – Olivier Mailloux (Levis, Que.) tossed a complete game to earn the win for Québec allowing two runs on three hits while striking out seven. Jeremy Marchand (Longueuil, Que) and Tristan Paris (Gatineau, Que.) picked up a two-run double each to lead the offense. British Columbia 12 Ailes du Québec (QC2) 5 – Taylor Wright (West Vancouver, BC) went 2 for 3 with a home run. Wright drove in 2 and scored 3 times in the win while Cole Ensing (North Vancouver, BC) picked up the win. Ontario (ON1) 5 Kentville (NS2) 2 – Noah Pickering (Windsor, Ont.) allowed two runs on only two hits over six innings on the mound to lead Ontario to victory. Jeff Watkin (Amherstburg, Ont.) double and tripled in the game driving in two runs in the win. Burnaby (BC1) 10 Saskatchewan 9 – Burnaby edged out Saskatchewan despite allowing 7 runs in the first inning. Their offense was lead by Harrison Brooks (Pilot Bukke, Sask.) who doubled and drove in three runs and Nolan Legien (Regina, Sask.) who went 2-for-3 with a triple and drove in two. Québec 2 Ontario (ON2) 1 – Oscar Rodriguez (Montréal, Que.) and Matthew Smith (London, Ont.) both went the distance for their clubs in an excellant pitcher’s duel. Raphael Gladu (Trois-Rivières, Que.) drove in the go-ahead run on a double in the top of the seventh. Kamloops (BC2) 7 Regina 3 – Mike Gilfillan (Kamloops, BC) earned the win for his club allowing two runs over six innings on the mound. Paul Vogelsang (Regina, Sask.) went 2-for-3 with a triple in the game, but Kamloops’ five-run inning in the fourth put Regina in too big of a hole to escape. Ontario (ON1) 7 Burnaby (BC1) 3 – Keifer Quick (Leamington, Ont.) homered and scored twice in Ontario’s win. Chirs Boatto (Vaughan, Ont.) earned the win on the mound allowing three runs over five innings of work. Manitoba 10 Saskatchewan 7 – Dustin Braun (Landmark, MB) and Peter Miedema (Winnipeg, Man.) both went 2-for-4 with a double and three RBIs to lead Manitoba’s offense. Jason Kirkland (Portage la Prairie, Man.) tossed a complete game to secure the win. Dartmouth (NS2) 12 Regina 3 – Anthony McKinley (Dartmouth, NS) went 3-for-4 with two doubles and a home run in the win. Nova Scotia’s come from behind win was made possible by an explosive nine run sixth. McKinley earned the win on the mound for his team as well by shutting down Regina in the 7th. Ontario (ON1) 9 British Columbia 5 – Jenna Flannigan (Cornwall, Ont.) went 3-for-4 with an RBI and Ashley Stevenson (Oakville, Ont.) went 2-for-2 driving in two runs and scoring three times in Ontario’s win. Brittany Chan (Richmond Hill, Ont.) earned the win allowing one run over 2 2/3 innings on the mound. Québec 21U (QC2) 4 Québec (QC1) 3 – Québec’s 21U team edged out Québec (QC1) by a score of 4-3 to pick up their first win of the tournament. Both teams now sport a 1-2 record in the tournament. British Columbia 6 Québec 21U 5 – Québec 21U scored 2 runs in the bottom of the 7th to tie the game up, but couldn’t match BC’s 3 runs in extra innings. Reliever Heather Healey (Paradise, NL) earned the win for BC. Daniella Matteucci led BC’s offense with a double and a triple driving in 2 runs. Québec (QC1) 6 Ontario (ON2) 0 – Daphné Gélinas tossed 6 1/3 scoreless innings while striking out eight to earn the win for Québec. Gélinas also went 2-for-3 at the plate driving in a run to help out the offence. Sherwood Park (AB2) 8 Saskatoon (SK1) 6 – Sherwood Park outscored Saskatoon 8-6 to get their first win of the tournament. They now sport a 1-1 record while Saskatoon is still looking for their first win. Coquitlam-Moody 11 South Jasper Place (AB1) 1 – Kai Sands (Coquitlam, BC) and Carson Chorpita (Surrey, BC) both homered in the win for the host team. Sands and Chorpita picked up three and two RBIs respectively. St. James (MB1) 6 Regina (SK2) 1 – Ryan Hofer (Headingly, Man.) went 2-for-4 driving in three runs and scoring once to lead St. James’ offensive production. Easton Grieve (Winnipeg, Man.) earned the win allowing one run on three hits in over three innings on the mound. Burnaby (BC1) 11 Sherwood Park (AB2) 3 – Burnaby topped Sherwood Park by a score of 11-3 to move to a perfect 3-0 record in the tournament. Sherwood Park now sports a 1-2 record. Oildome (MB2) 13 Saskatoon (SK1) 8 – Saskatoon failed to match Oildome’s offensive output losing by a score of 13-8. Oildome moved to a 2-1 record with the win while Saskatoon is 0-3 in the tournament. Coquitlam-Moody 12 Regina (SK2) 10 – Alexander Baan-Meikljohn (Victoria, BC) went 3 for 5 with a home run and 2 doubles driving in 4 runs in the impressive offensive performance. Jack Seward (Coquitlam, BC) earned the win allowing 2 runs on 2 hits over 2 innings. South Jasper Place (AB1) 3 St. James (MB1) 0 – South Jasper Place’s win over St. James moved them to a 2-1 record in the tournament. St. James now sports a 1-2 record. Ontario 14 British Columbia 4 – Jessica MacPherson (Essex, Ont.) went 3-for-3 including a two-run double in Ontario’s win. Mia Valcke (St. Mary’s Ont.) drove in two runs for Ontario as well going 2-for-4 including an RBI triple. Starting pitcher Caitlin Tomotsugu (Vaughan, Ont.) earned the win. Alberta 20 Newfoundland 5 – Hayley Lalor (Red Deer, Alta.) earned the win for Alberta allowing three runs over 1 2/3 innings. Alberta’s offense was lead by Paige Hildebrandt (Edmonton, Alta.) who went 2-for-4 with four RBIs and Alexis Galloway (Okotoks, Alta.) who drove in three going 1-for-2. Manitoba 16 Québec (QC2) 3 – Katelyn Heppner (Winkler, Man.) homered and doubled with three RBIs in Manitoba’s win while starting pitcher Jamie Johnson (Arborg, Man.) picked up the win allowing only one hit in 3 2/3 innings. Québec (QC1) 6 Nova Scotia 1 – Marie-Pier Crête (Rigaud, Que.) and Noémie Lapointe (Laval, Que.) both had RBI doubles in Québec’s five-run inning in the third to top Nova Scotia 6-1. Lapointe earned the win for her team on the mound as well.